Maugg’s unconventional biopic follows the filmmaker Fritz Lang during the time of his first sound-featured movie “M – A City Searched For a Murdered” that was premiered on May 11th, 1931. In this biopic, Lang finds himself fascinated by newspaper reports of the Monster of Dusseldorf, a serial killer who would kill women for his own sadistic pleasure. The murders being described were sophisticated, well organized and truly disturbing. Yet, the way Lang is being portrayed is almost like, in the right time maybe in a different timeline, he would have been one of the serial killers that he used to read in newspapers. Addicted to drugs, sexually hungry and brutal sometimes, Lang is a person who hides deep in his memory the image of his first wife who also was murdered. As he confronts the past and the present, the filmmaker goes through the thin line of what’s right and what is wrong in the search of his empathy for the serial killer due to his understanding of what does it mean – killing. His complicated relationship with wife Thea and his wild imagination of how and under what circumstances the serial killer attacks its victim, Lang finds himself fully immersed into an unpredictable world – created in his own mind. Fritz Lang was and still is considered one of the greatest filmmakers. How and in what way he should have been portrayed is up to the person who pens his story. It may be true or it may not, Maugg the same way as Fritz Lang walks the fine line to immerse himself into the criticism of, mainly, a negatively presented icon, which was not bad at all. 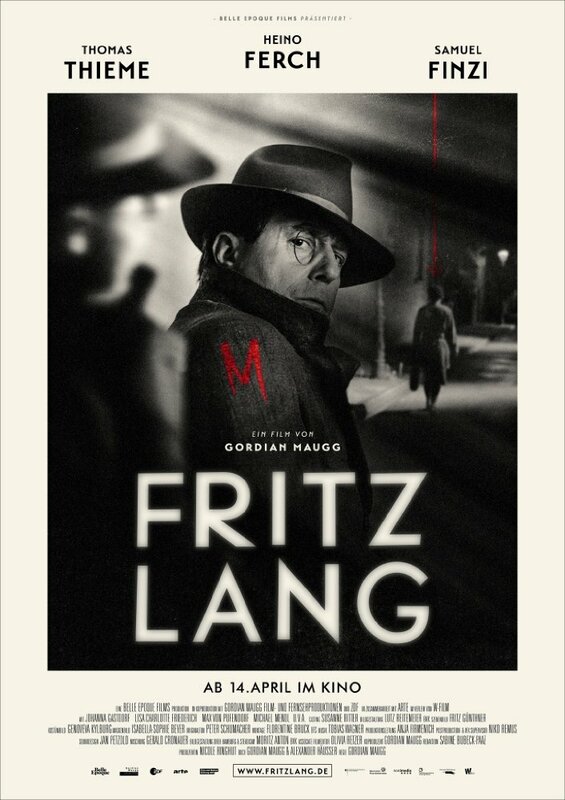 It’s not difficult to judge Maugg’s interpretation of history, but if you forget for a second that it was based on a true person, Fritz Lang is an absolutely astonishing movie by all means. Set in black-and-white, Fritz Lang delicately grabs the audience back in the 1930s to experience what is it that had inspired or could inspire before bringing to the light an iconic movie. Good or bad, true or not, Fritz Lang never fails to deliver what it intended. It’s well directed, sometimes violent, haunting, but yet fully engaging movie allowing you to experience history the way it could have been, I guess. That is something I won’t insist here and won’t try to convince you otherwise. But Fritz Lang is an excellent cinematic experience for anyone who likes a crime movie with a touch of history of the dark and beautiful at the same time.